New HONDA CR-V is ‘Evolution in Action’. Since the introduction of the first-generation model in 1995, the Honda CR-V has gone on to become the world’s best-selling SUV. This latest evolution of the popular SUV has been developed to exceed the expectations of customers, with enhanced and unique characteristics. The new CR-V now features a range of sophisticated technologies, and superior quality throughout. 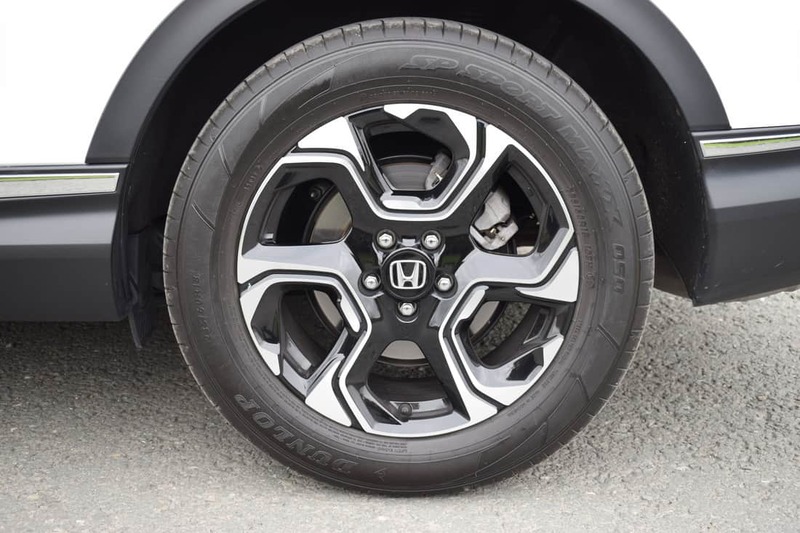 The all-new CR-V has a fresh appearance, with broader, muscular wheel arches, sharper contours on the bonnet and rear quarter panels, as well as the latest Honda family face, with its signature headlight graphic. One of the fundamental changes made by engineers was to extend the length of the wheelbase by 30mm over the previous generation model. 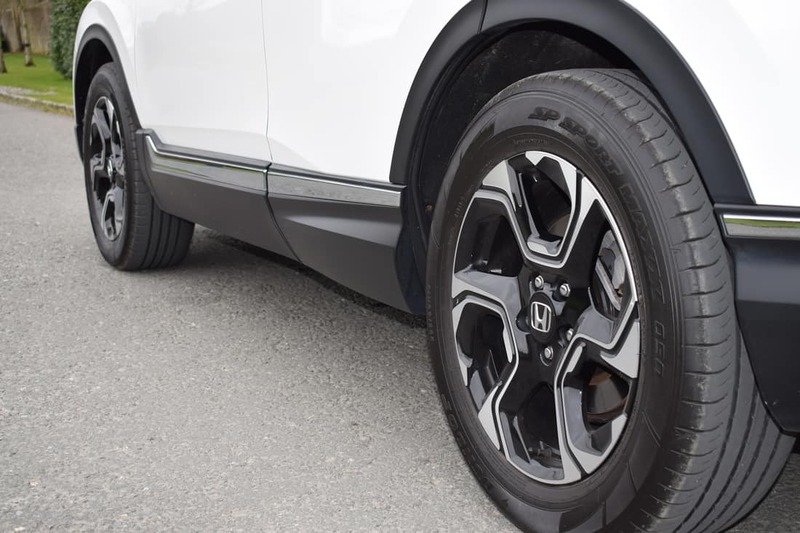 This not only provides more space inside, but contributes to the more muscular stance of the new CR-V, with the wheels now placed closer to each corner. A key difference with the new generation CR-V is that there is no diesel engine available, just regular petrol and Hybrid options. The 1.5-litre turbocharged four-cylinder VTEC petrol unit comes with 171bhp and is matched to a six-speed manual gearbox with front-wheel-drive. 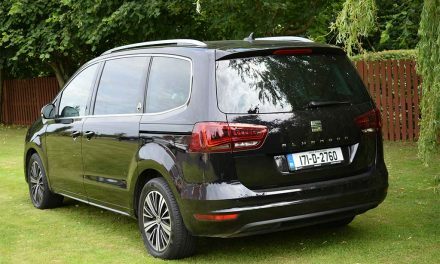 This engine is also available with 190bhp, and this comes with a CVT (automatic) gearbox and all-wheel-drive (AWD) as standard. 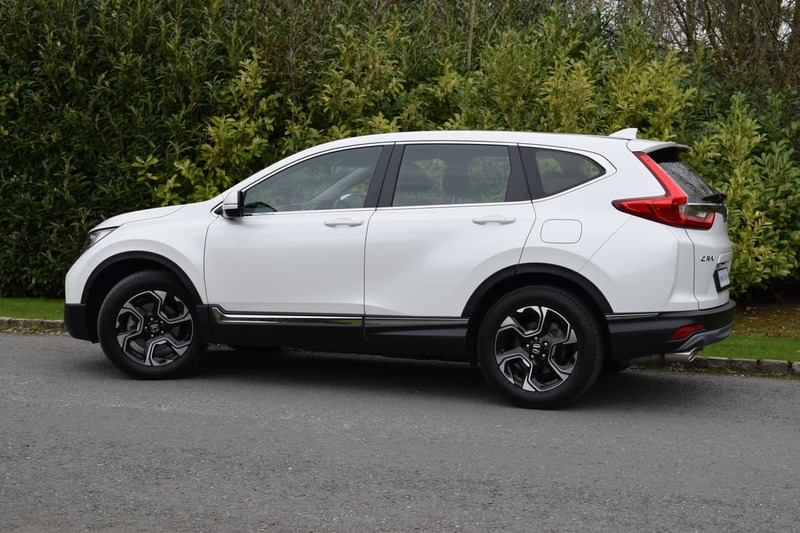 The CR-V Hybrid combines a 2.0-litre naturally-aspirated petrol engine with an electric motor, and is available in two-wheel-drive, or all-wheel-drive versions. Evolved in every way, the all-new CR-V delivers more comfort, convenience and connectivity than ever before. Clever features make the new CR-V easier to use every day. 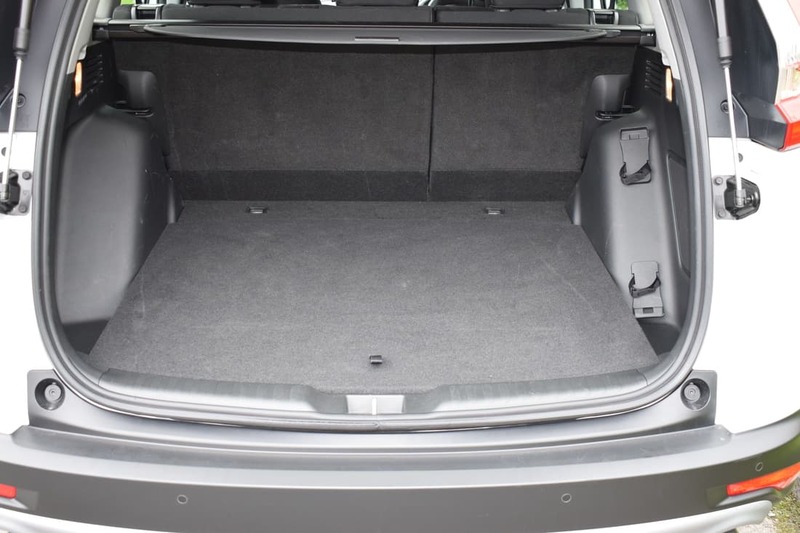 For example, the height of the tailgate when opened can be programmed to avoid contact with low ceilings, while cabin flexibility is boosted by a three-mode centre-console storage, and new single-action ‘dive down’ 60:40 split-fold second row seat backs that enable faster, easier loading. 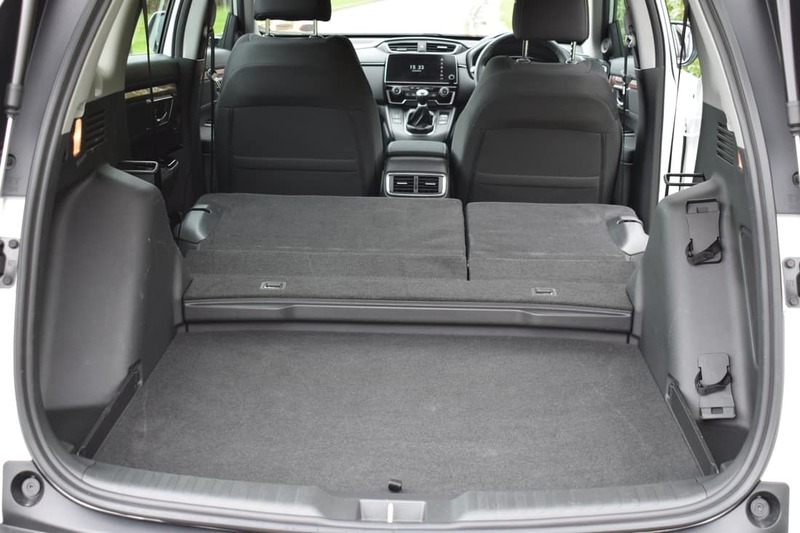 For the first time ever in a CR-V, there is an option of seven seats on petrol AWD models. The new CR-V is available in 4 specification levels – Comfort, Lifestyle, Elegance, and Executive – with all models fitted with Honda Sensing™ as standard. This amazing suite of active safety technologies includes a Collision Mitigation Braking System, Forward Collision Warning, Lane Departure Warning, Lane Keep Assist System, Road Departure Mitigation, Adaptive Cruise Control, Intelligent Adaptive Cruise Control, Traffic Sign Recognition, and Intelligent Speed Assistance. 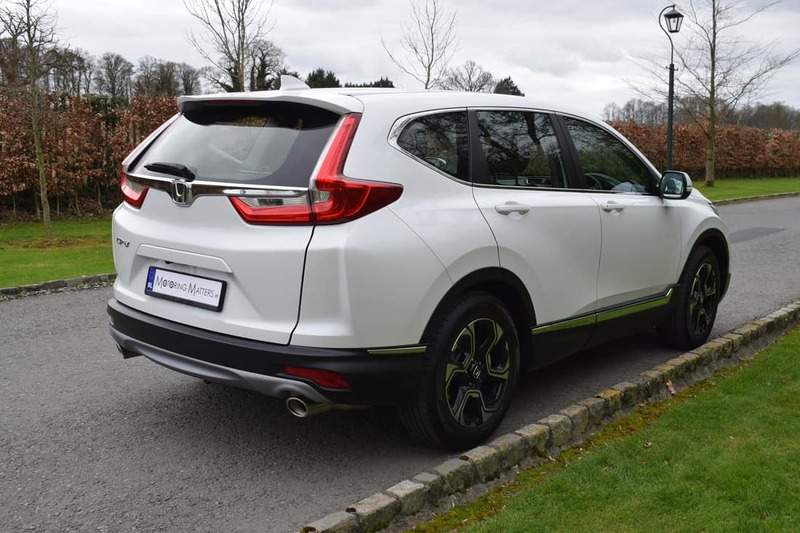 My test car was a Honda CR-V ‘Lifestyle’ 1.5-litre VTEC Turbo Petrol 2WD finished in Platinum White Pearl paintwork, which looked fantastic with its contrasting black wheelarch and body cladding. 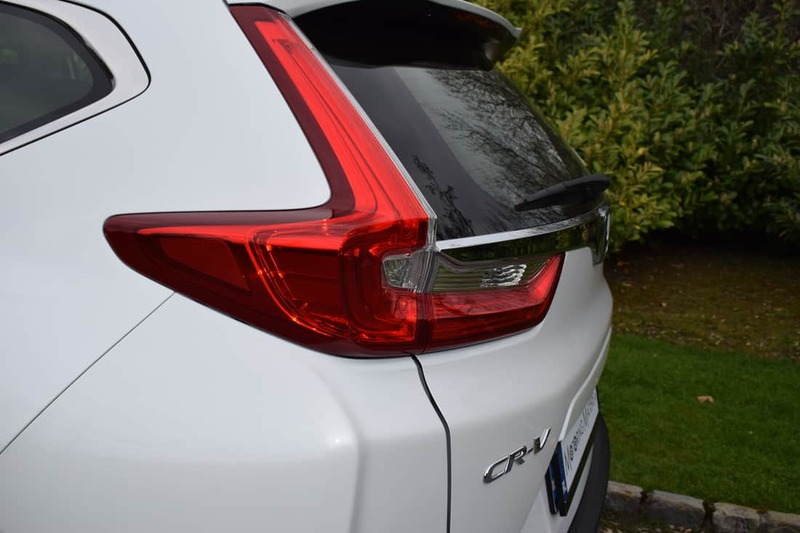 Liberal use of chrome detailing on the front, rear, and sides of the new CR-V provides a premium, upmarket look. Standard equipment across the entire CR-V range is highly impressive, with my test car coming with 18” alloy wheels, rain sensing auto wipers, auto lights, headlight auto on/off timer, remote power windows, retractable door mirrors, dual automatic climate control, front & rear parking sensors, rear view camera, leather steering wheel & gear knob, vehicle stability assist, trailer assist, hill start assist, intelligent multi-information display, DAB digital radio with 8 speakers, Bluetooth™, wood style instrument panel garnish, space saver spare wheel, high beam support, and a tailgate spoiler, along with numerous other safety, security and comfort features. The petrol engine in the new CR-V was first seen in the latest Honda Civic, and has been adapted to include an exclusively-designed turbocharger for the CR-V. 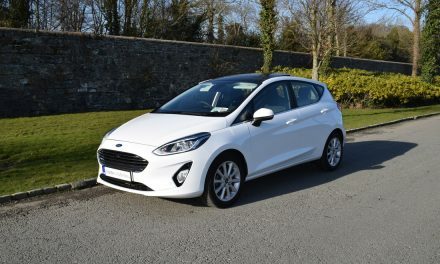 It offers a remarkable, and class-leading combination of power and efficiency, and features numerous technologies to achieve optimum driveability and performance. 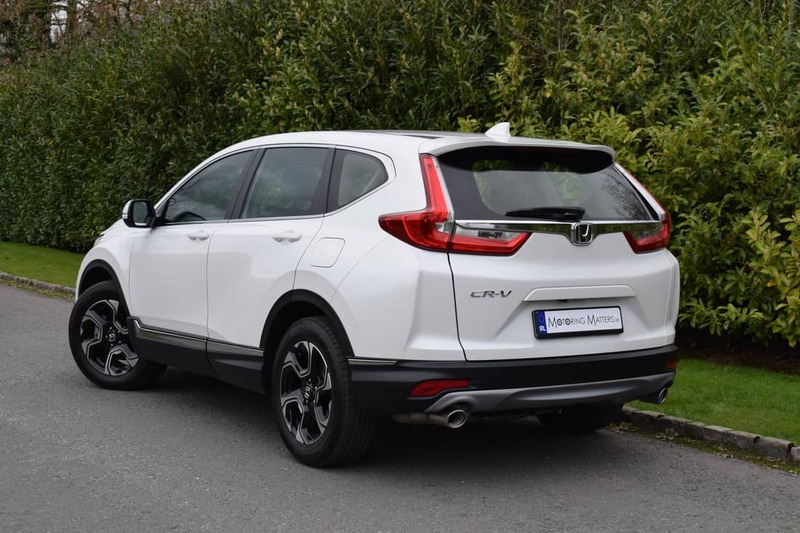 With 171bhp and 220Nm of torque available, the CR-V can sprint from 0-100km/h in just 9.3-seconds, on the way to a top speed of 211km/h (where permitted). Based on official NEDC fuel effiency testing procedures, as little as 6.3-litres of petrol is consumed for every 100km’s driven on a combined driving cycle. 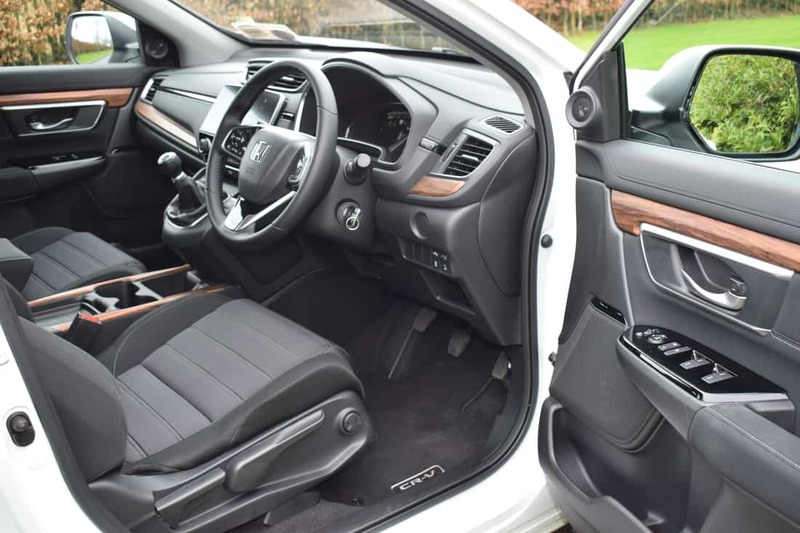 Interior quality, spaciousness, and sophistication in the new CR-V is benchmarked against premium-brand products, delivering improved ride quality, steering response, body control, and NVH (Noise, Vibration & Harshness) management. 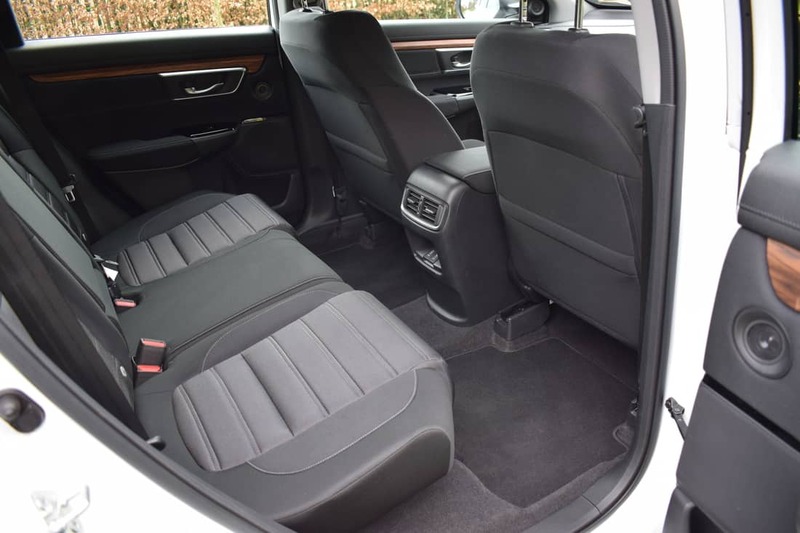 Best-in-class interior space efficiency is highlighted by the generous space available for all occupants, as well as a wider, deeper boot with a longer load bay. 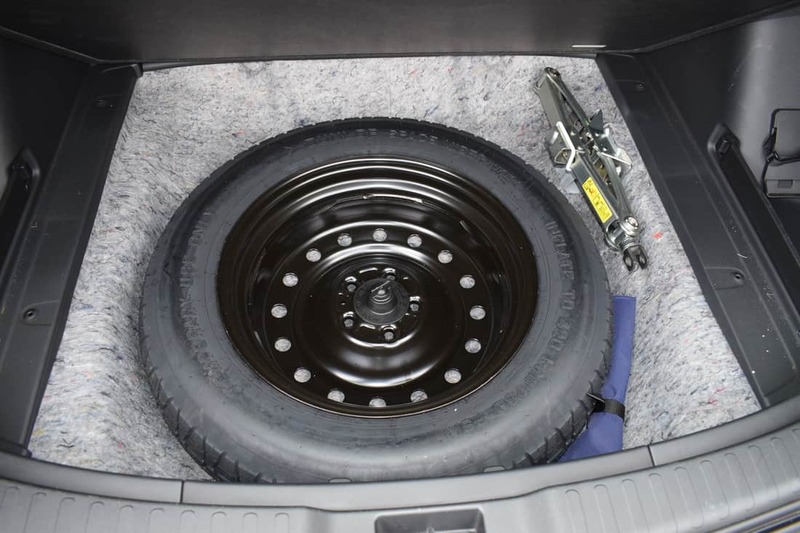 A new two-position boot floor enables a flat surface for loading larger items. On the road, the new CR-V drives with poise and precision, while providing excellent feedback from even the slightest steering input. 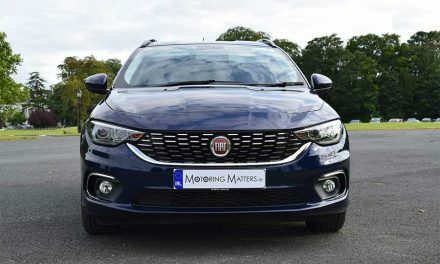 With a 25% increase (over the previous generation) in torsional rigidity, the result is superior handling performance, and an excellent overall driving experience. 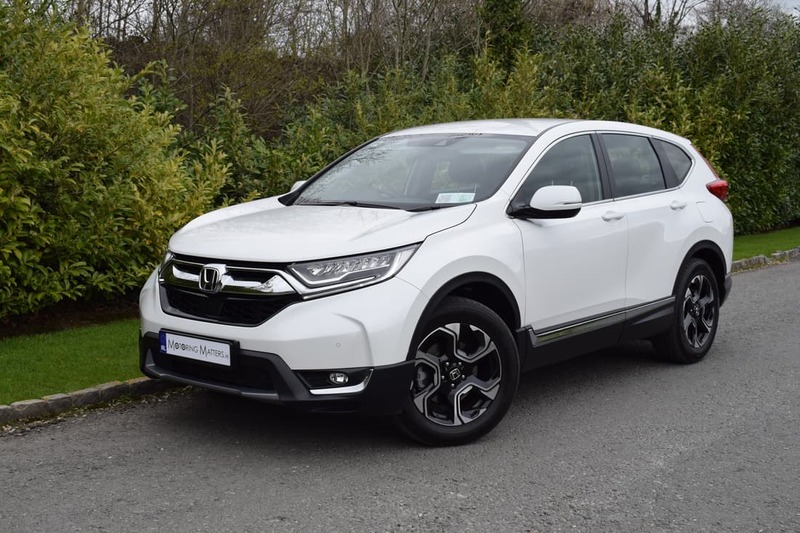 The all-new Honda CR-V is the embodiment of ‘Evolution in Action’, as it is now endowed with more refinement, practicality, and improved dynamics than ever before, thanks to a host of upgrades and innovations. 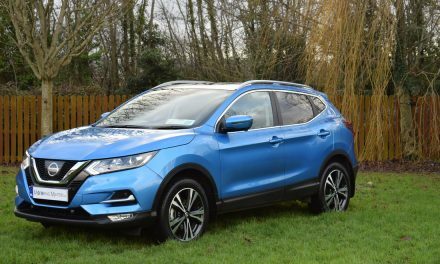 Pricing for the all-new, petrol engined, Honda CR-V starts at just €33,500 (ex-works), with annual road tax of €390 on all manual transmission models, and €570 in CVT (automatic) guise. All new Honda passenger cars come complete with a 3-Year/100,000km Mechanical Warranty as standard, along with a 5-Year Exhaust System Warranty, 3-Year Surface Corrosion Warranty, 12-Year Corrosion Warranty, and a 3-Year HondaCare Roadside Assistance package for the ultimate in peace-of-mind motoring. PreviousNew Citroën C5 Aircross – On Sale Now, From Just €26,495. NextNew Suzuki Vitara 1.0-Litre BoosterJet (Petrol) – Versatile & Vivacious SUV.